Seated underneath a giant floral effigy of the late Christian Dior were hundreds of immaculately-dressed guests, their eyes trained on a slew of well-dressed male models making their way around a runway bathed in ethereal afternoon sunlight. As the final model made his exit stage left, the crowd put together their hands in resounding applause, officially welcoming Kim Jones to the house of Dior. Last week, Jones celebrated one year at the helm of Dior Men. In a tumultuous time when designers are hopping from one appointment to another (sometimes even none), 365 days is nothing in this game of musical chairs. But when we take a retrospective of the past year the 39-year-old has had at the French luxury house, it’s evident that he has done more than design elegant clothes. Jones has successfully catapulted Dior’s legacy into the forefront of fashion today. The Dior Saddle bag from his first collection that was given a more masculine silhouette is now one of this season’s most covetable arm candies. At the most recent Oscar’s, the actor Nicholas Hoult made an appearance on the red carpet in a debonair tuxedo from Jones’ FW19 presentation. His blend of the high and low, of couture and street in his designs has effectively brought to Dior a greater audience, that being the millennials today with their seemingly-unlimited spending power. Enter Yoon Ahn, Matthew Williams, Hajime Sorayama, and most recently Raymond Pettibon, all of whom have played significant roles in his collections. They are the ones that brought us the aforementioned Saddle bag, an AirPods holder for your beloved earbuds, and in Sorayama’s case, an updated Dior logo that is dominant in the Pre-fall 2019 collection. 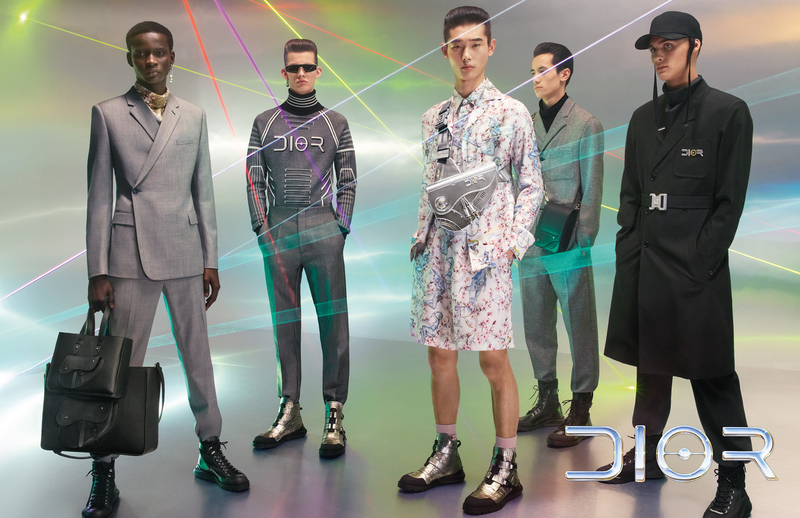 With such a trend-setting roster, is there any doubt at all that Dior Men under Jones is poised to bloom? But that’s not all that Jones has to show for his tenure at Dior. Since his appointment in March 2018, Christian Dior SE (DIOR.SA) has increased by 39% on the Paris Stock Exchange, and it’s set to soar even higher. Whether that’s purely a coincidence or not we will never know, but odds are Jones’ has brought to Dior the same Midas touch he had with Louis Vuitton menswear (remember the Supreme collaboration? It was Jones’ idea). 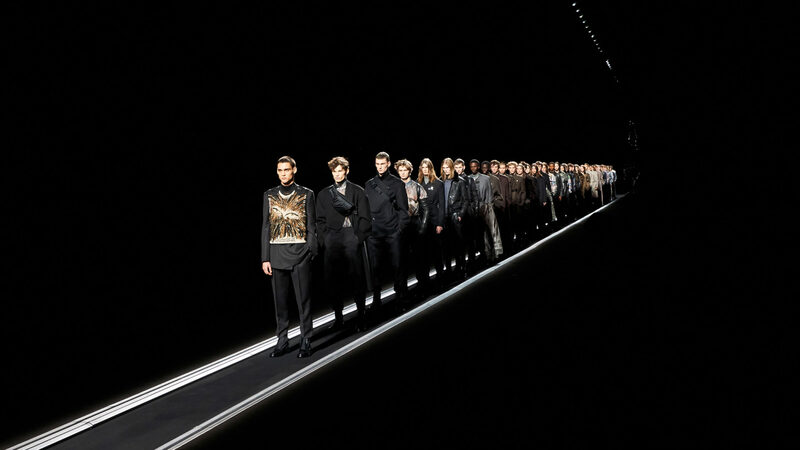 When Paris Fashion Week Men’s comes around again in June, Jones is set to present his fourth collection for Dior Men’s. That is if a surprise show doesn’t happen in the meantime. Until then, there are many questions that we’re all waiting to have answered: Will there be another iteration of accessories bearing the Saddle silhouette? Who is Jones going to call upon this time? Is there going to be another giant centrepiece commanding the stage? One thing is for certain though. The crowd will be there again to cheer him on as he takes his next bow.